There are often times when science is about things that are too small, too big, too dangerous too abstract or just too weird for students to grasp easily. This is where Sunflower for Science helps. You’ll find the usual suspects – waves, forces, nuclear physics, circuits, heat transfer and more. 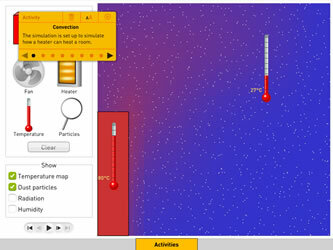 Our physics software is especially interactive giving you loads of opportunities to ask questions and try for yourself. 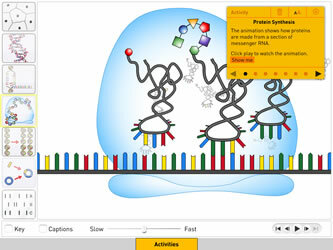 Our chemistry software includes Bonding – our most popular App. 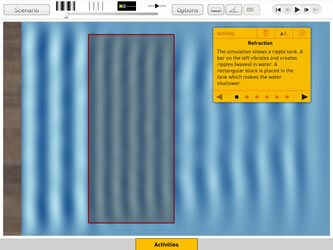 There’s lots of great stuff to help visualise and interact with particles. 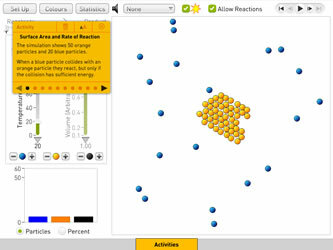 You’ll find our indispensable Rates of Reaction simulation and don’t miss the 3D Periodic Table! Our highly visual approach will help you with topics like circulation, plants, cells and digestion. The DNA app is a must-have. There’s simulations for enzymes and osmosis and a handy elodea experiment that’ll work every time! You can buy our software as individual apps to help tackle a tricky topic using your iPad or Android tablet. Get a bundle of our apps to run both online and in one complete free app. Access is for all students and teachers at school and home. We’ve been making software for school science since 2002. It’s all we do! Over the years we’ve honed and improved our approach with tons of teacher feedback so you know you’ll get software that works in lessons. Should I buy Apps or a School Subscription? If your budget is tight or you just want help with an individual topic then go for individual Apps . If want to make a bigger impact across your school or if you want students to access Sunflower from home, then a School Subscription is the way to go. How do I share resources in my Learning Platform/e-mail/Facebook/Twitter? One of the great things about the a School Subscription is just how easy it is to share resources with your students - no more passwords to remember! Click the "Share" button on the menu at the top of the screen, and a link will be generated. This can be copied and pasted into your Learning Platform, into an e-mail - anywhere you like. The students could even write it into their homework diaries. I'm having problems running the software. What can I do? Call us on 0845 1300 680, or e-mail us at [email protected] We'd be happy to help. If you have a School Subscription you can use the Sunflower for Science App for free. If you're a teacher you'll need to login. If you're a student you'll need a Share code from your teacher. The Sunflower for Science App contains all our software. Individual Apps contain just one topic and you don't need to log in, but you do need to buy them!